Globe Telecom welcomes Daniel James Horan as its new Senior Advisor for Consumer Business Group. In this role, Horan will support the telco’s consumer business group in an advisory capacity, bringing with him over 15 years of experience in senior P&L and commercial positions in the I.T. and Telecommunications industries across six countries, including emerging markets in Asia, the Middle East, and Hungary. Prior to joining Globe, Horan was Chief Marketing Officer at PT Axis in Indonesia responsible for marketing, online, customer care, customer experience, trade marketing, content, devices, and payments businesses. Before PT Axis, he was the Chief Commercial Officer at Vodafone Qatar responsible for its fixed and mobile businesses as well as the introduction of payTV. 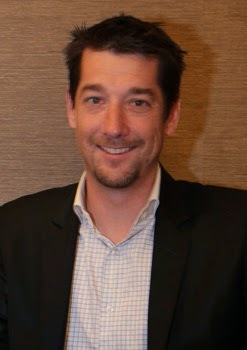 Before his stint at Vodafone Qatar, Horan served as Consumer Marketing Director at Vodafone Hungary. Horan has studied in the Henley Management College in United Kingdom and further management studies from the International Institute for Management Development in Switzerland. Former Senior Advisor for Consumer Business Peter George Bithos will take on an expanded advisory role as Chief Operating Advisor, looking after the core Consumer business as well as the new emerging lines of businesses in and around the consumer space.